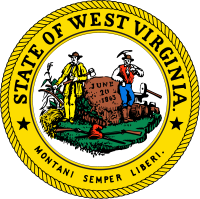 Montani Semper Liberi (Latin for "Mountaineers are Always Free") Free resources for our fellow mountaineers! Here are free resources from Christian Soul Miners. These are from the Lord. Please use these freely and responsibily. If there is any question about these then feel free to contact me or the author for more information. I am a mountaineer and as such I see the need in the Mountain state of WV, but these resources can and will apply to anyone who lives in the mountains in what the out siders call appalachian. I have never known of applachia but I always heard of the mountains and the mountaineers, so here we are as those rugged ole mountaineers hoping that we might be able to help. Who are the resources from? That is the question??? What are these anyway? What am I going to preach? 1. Bill Barker who is the director of the Appalachian Regional Ministry of the SBC. A native of Boone county. The best resources on the web for the Mountain preacher. Say it ain't so. Grow in your ministry. Study to show yourself approved. Great Job Bill and thanks for sharing what God has given you..
2. Revised Common Lectionary. This is a resource that will assist you to develope a sermon on the whole Bible. You could get organized and effective all at the same time. Develop a sermon on every passage of the Bible by using this Scripture guide. This resource gives you four passages of scripture each week. Pick and choose as the Sprit leads you to preach the WHOLE Bible. 3. Ron George Jr. who is the author of this web site. Raised in Western Greenbrier County. Current pastor for 25 years in Braxton, Gilmer, Nicholas, and Fayette counties. Former Coal Miner. Over 1000 sermons with many sermons developed throught the RCL. (see above). 4. Cyril Johnston, from Side by Side Renewal Ministries. Cyril is a retired minister with 38 years of local church ministry. 5. Free Book "Livin On The Hill" a free download from Ron George Jr. Describes life in the hills of WV including valuable insights into church life and leadership. Do you have something you would like to share with others? Just let me know and I will help you spread the news. We all could use a helping hand or a word of encouragement. Hang in there and keep on Keeping On!